If I had no fear, I would love myself unconditionally. 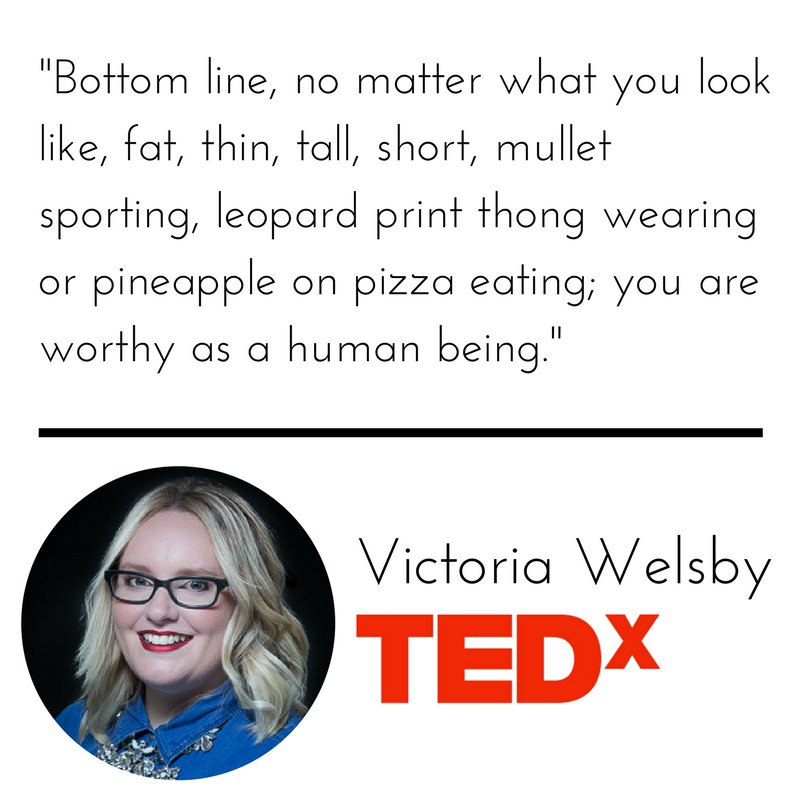 Bottom line, no matter what you look like, fat, thin, tall, short, mullet sporting, leopard print thong wearing or pineapple on pizza eating; you are worthy as a human being. I was so wrong when I believed that thin equaled happy and healthy and fat equaled unhappy and unhealthy. YOU can be a rebel. Love your fabulous body, unconditionally. What if you truly believed that “You are worthy, you always were, and you always will be”? Do the things that truly make you happy. Whether your bum jiggles while you do it or not. The diet industry thrives on your failure. I have a secret to tell you, it’s pretty outrageous so get ready to recoil in horror! I don’t want to lose weight. Become a sassy fat badass. Be a rebel. What would you do if you weren’t wasting your time dieting? I finally worked out that I don’t need to be thin to be worthy. I am fat. That’s not my actual name, that would be weird and very cruel of my parents. No, fat is the neutral word I use to describe my fabulous body. What if we spent less time, money and energy on the pursuit of thinness? Last year Americans spent over $66 billion dollars on trying to become thinner. Bold horizontal stripes on a fat Cover Girl?! And it’s not a diet magazine with a story about how she lost 5000lbs in 3 minutes. Fat is the neutral word I use to describe my fabulous body. You don’t need to be healthy to be a worthy human being.